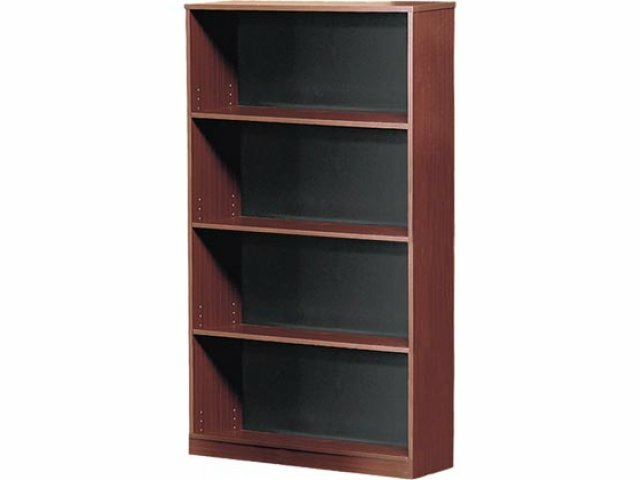 This library shelving unit features adjustable shelves, so you can get a great fit for any books from novels to reference volumes and beyond. Laminate School Library Furniture series lets your students enjoy the best education has to offer, even when resources are limited. You don’t have to compromise on style or selection to get a top-notch reading room at an affordable price. Bookcases, circulation desks and library tables have a sleek, subtle look that will maintain a calm, studious feeling in your space. With laminate library furniture, you can create the space you’ve always dreamed of without going over budget. A huge selection of finish hues lets you coordinate with existing decor, or add a new complementary shade. Low-maintenance laminate surfaces resist damage and are protected by PVC edge banding. Whether you are furnishing a community or school library, this collection will make an excellent choice. Perfect Fit: Adjustable shelves let you get a custom arrangement that fits your collection. 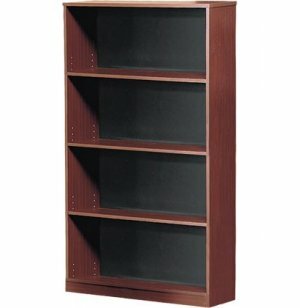 Affordable Option: Laminate library furniture is much more affordable than other materials. Resists Damage: Laminate surfaces resist scratches and stains and wipe down for easy cleaning. Attractive Choices: A huge array of laminate finishes lets you express your style and bring your reading space to life. Edge Protection: 3mm-thick PVC edge banding prevents dents.